If you’re reading this text, and you have a triathlete, a swimmer, or a cyclist, or a runner in your life, you probably know how really, really hard we are to shop for. We tend to go out and buy the things we want right away. We do a ton of research to make sure we’re getting the exact thing we want. 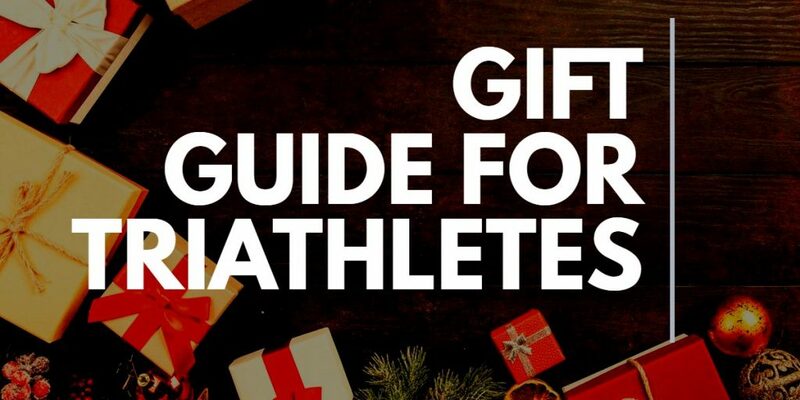 Generally, it’s just really hard for someone who’s not in the sport to tell what’s a good gift or what isn’t. This guide is focused entirely on that type of person, and it’s stuff that anyone if they’re in the sport, should generally get some value out of. I’m going to be sharing with you my favorite gifts for even the pickiest triathlete, runners, swimmers or cyclist in your life. We’ll start of with a GPS or a triathlon watch. Now Garmin makes a few of these watches that are designed just for a triathlon. They have swim modes, they have bike modes, they have run modes. Some of them have quite long battery life, so like 20 hours, which is more than enough for a full Ironman. You can probably get by with a couple of weeks without charging your Garmin. They’re mostly all heart rate compatible as well. If your triathlete doesn’t have anything to track any of their data, definitely think about getting them a GPS watch. This is two things great for recovery: a foam roller, and a foam ball. Put your body weight on them, and you roll your muscles out after a really long exercise. If you’re an athlete does not use one of these, they’re in for a surprise, because breaking up those deep muscle knots can actually be really, really painful, but it’s great for recovery. 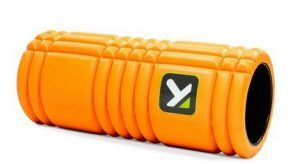 They noticeably decrease the amount of day-after soreness that you have, and generally, these are a fantastic investment, especially for the cost. The cool thing about foam rollers and lacrosse balls is they’re all pretty much the same, so you don’t need to stress about which one’s which. Grab a cheap one, they all work perfectly fine, and your athlete will thank you. This fun and inspirational desk calendar contains 365 dated pages that are decorated with the original illustrations and motivational quotes. 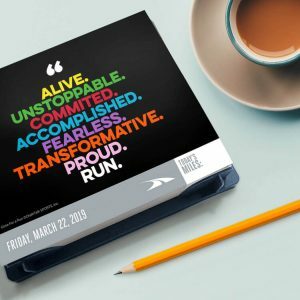 Each illustrated page also includes a space for tracking daily miles and training to help keep on track to achieve running goals. Turn triathlon, running, and other awards into a work of art with a steel race medal wall hanger for athletes. These steel displays help showcase all of running achievements in one beautiful wall hanging. 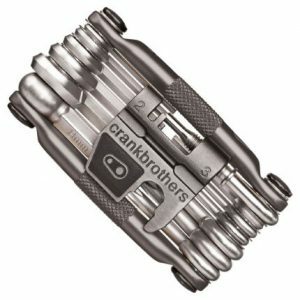 The next item on our list is a bike multi-tool. It continually shocks me the number of people I know who will ride 50, 60 miles away from their house, and they don’t carry basic maintenance tools that might be required to get them home in the event something breaks on their bike. You can pick one of these up, depending on the one you get, for anywhere from $10 to $25-$35. Just make sure to get one that all has a variety of tools, anywhere from 10 to 19. They put the most important tools on there. You don’t necessarily need to get the one that has every tool known to man. Ultimately what it comes down to is if you have the cyclist in your life, and they’re not riding with one of these, be sure to grab one. It’s an awesome stocking stuffer for $15-$30. Hopefully, this is the type of thing that they’ll never actually need to use, but in the event that they’re 30 or 40 miles away from their house, something breaks on their bike, it’s going to be an absolute lifesaver for them. I will always tell people to throw energy gels in, like a really cool stocking stuffer. A lot of runners and endurance athletes will not switch brands, because we have one that we like, but for a stocking stuffer, if you just want to get a few different brands, different flavors, it’ll definitely help your runner branch out and try something new. One of the no-brainers is to buy your triathlete some nutrition-related things and there’s definitely no shortage of nutrition-related triathlon stuff out there in the market. You can buy everything from electrolyte tabs to energy gels. If you are thinking about buying your triathlete some gels, think about maybe going with Gu. I know they make a lot of fun flavors and a lot of holiday-themed flavors as well. You can buy triathlete anything from protein powder protein, organic gels, electrolytes, and other sports nutrition. There are many different nutrition products that you can buy for your triathlete that are $30 and under and make great stocking stuffers. 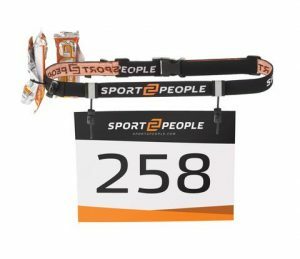 If you have a new triathlete in your life, and you’re looking for a gift, that’s $20 and under, a race belt is a great idea. A race belt is just to hold your race number on while you do the bike and run portions of the triathlon. Swim goggles and antifog spray always a great idea for any triathlete, goggles fog up all the time, and it’s just always handy to have a few pairs keeping around just in case. Elastic laces come already on triathlon shoes, but if you just have a normal pair of running shoes, you can turn them into tri shoes, just by adding the elastic laces. 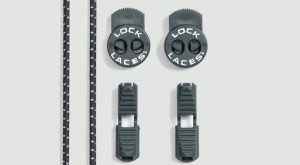 Elastic laces essentially are just going to save them a few seconds in transition just because they aren’t going to have to tie up their laces. Another gift idea is a pair of bib shorts. These are for cycling, you wouldn’t wear these in a race, but you can wear them during training. Essentially they’re just cycling shorts, but they attach over top of your shoulders like this. They almost look like a wrestling shirt. If you buy a nice pair of bib shorts, your triathlete will thank you so much. Bib shorts are super comfortable, especially compared to just your normal cycling shorts, because they are attached over the shoulder. They stay in place a lot better. I have some bib shorts that have thousands and thousands of kilometers on them and they’re just as comfy as ever. Definitely, don’t cheap out when you buy bib shorts. A nice pair of bib shorts depending on where you live is probably going to cost you anywhere from $100 to $200, but with Christmas right around the corner, you might be able to find a deal. This is the type of thing that I didn’t know existed for a really long time. I just used a giant big cotton towel at the gym. Super frustrating, it took up a ton of space, and I had to wash it at the end of every night because it never dried. This solves both of those problems. Obviously, it’s super small, you can just hook it to the outside of your gym bag. It’ll be dry by the time you get home. You don’t need to wash it every single night. 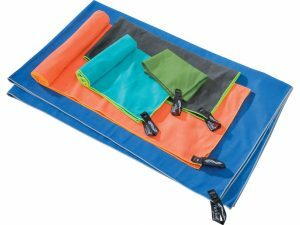 It just makes the whole gym showering experience a lot more enjoyable, and for 20 bucks, definitely, a great stocking stuffer that I would give to every single person who works out in a gym. Next step I’m sure many of you have a triathlete in your life that has a crappy beat up the wetsuit, so you can think about getting them a new wetsuit for the holidays. Next gift idea for the holiday buying guide would be a power meter. 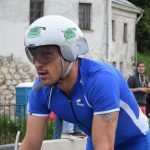 Now I personally think a power meter is hands down the best training tool a triathlete can use, especially when it comes to the bike, but I think across all three sports the power meter is the most useful tool. A power meter is especially back in the day were crazy expensive. 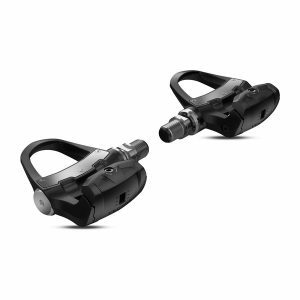 They’ve come down in price a little bit, I think through stages you can buy a power meter for under $1000 now, which is quite cheap. Also with a power meter if your triathlete likes to train inside or you live in a cold climate where you’re forced to train inside half the year, having a power meter will open up a whole new world for your triathlete. They’ll be able to ride on Zwift which is a virtual world with hundreds and thousands of other people riding at the same time on the same course. It’s really cool. If your budget allows buying a power meter for your triathlete, definitely buy a power meter for your triathlete. It will be an awesome gift to get. This is a good pair of recovery compression socks. 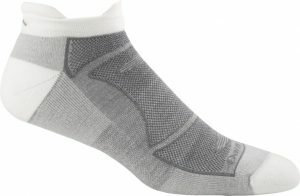 The research is mixed as to whether or not compression gear has any benefits during exercise, but it’s generally agreed upon for recovery, wearing compression socks for a day or two significantly reduces the sort of achiness and delayed onset soreness, similarly to a lot of the other gear that I’m talking about today, it’s something that will noticeably help. There’s not a lot of options here, it’s a tight sock. Pick the one you want. They all work generally the same, and it should help with their soreness the next day. Next item on the list is another pair of socks. Darn Tough socks and they have become my absolute go-to running sock. They have a fantastic warranty. Pretty much if they ever wear out, Darn Tough will replace them. They’re made out of Merino wool, so I can use these in 95 degrees in the summer, 15-20 degrees in the winter. They keep your feet dry. I never have blisters with these. These have about 1,000 miles of running in them. They’re showing very, very little wear. If they eventually do wear out, and I don’t feel like I’ve gotten my money’s worth out of them, let them know and they would send me a replacement pair of socks. Great company. Made in the USA. Especially if your runner is using just old cotton socks, these are going to be a pretty drastic improvement. When it’s the critical piece of gear that stops your feet from getting hot, sweaty and blisters, I think it’s worth it. Great stocking stuffer and they become one of my favorite pieces of gear. Next step on the list is as much a gift for you as it is for them. That is a road ID. 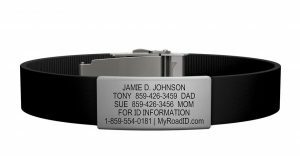 If you’ve not heard of them, essentially it’s a bracelet which contains a printed metal piece including your athlete’s name, address, contact information, insurance information, allergies. If something bad happens, maybe they’re unconscious, if first responders or EMS don’t have a way to get a hold of that information, that can present a challenge, especially for the type of athlete who runs or bikes a long way away from home, doesn’t carry an ID or a phone on them, it’s a really good piece of investment gear that I think more people should use. It’s not the type of thing that most people would buy for themselves, it’s something that we don’t want to consider as something that could happen to us. That said, it’s definitely the type of thing that if someone gave to me, I would throw on, I would wear. It doesn’t weigh anything. It’s not annoying. It’s just a good peace of mind gear. It’s something that I’ve only had one time, and I thoroughly loved it, and most people don’t buy it for themselves, which is a post-race massage. I’ve gotten one once as part of my entry. It’s the type of thing that most people won’t buy for themselves, but they will definitely enjoy. If you want to get this for your person, go to the race that they’re signed up for, reach out to the organizers, and then print off a little certificate to stuff in their stocking, and they will totally thank you for it. As triathletes, we train a lot and we get tired legs, achy bodies and instead of listening to you triathlete wine all year long about how sore they are, buy them a few massages this holiday season that they can use throughout the year. Maybe before one of their big races or during some heavy training and I’m sure they’ll thank you and you don’t have to listen to them complain. A bike fit is a great gift idea for a new triathlete all the way to an experienced triathlete. A bike fit can make you faster on the bike, but it can also make you a lot more comfortable as well, which is very important. Next item on the list is a little bit more expensive, and it assumes that you have a cyclist who’s using an indoor trainer. They hate it because indoor training can be dreadfully, dreadfully boring. There are two best services out on the market right now, which hope to fix that, as well as making your person a better athlete. Those are either TrainerRoad or Zwift. Ultimately either one of them would be a great gift for someone. It’s about $130-$180 a year for a subscription. You connect your bike trainer to the software. It essentially gives you workouts or a social space. Experience what it’s like to be on a road or in a spin class, while you’re just on your regular bike trainer. 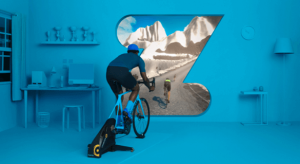 The big difference between the two, Zwift is a little bit more social, so if your person wants to have a social element, connect with other riders across the world, maybe go the Zwift route. Trainer Road is a little more workout based. Closer to having a coach or a spin class. That said, they’re both functionally going to do the same thing. They’re going to make indoor training a lot more enjoyable. Especially as we move into the winter months, if your person has a trainer, and they hate it, getting either Zwift or TrainerRoad is probably going to make that experience a lot better for about $130-$180 a year. Super cool gift. Those are some of my holiday gift ideas for triathletes.